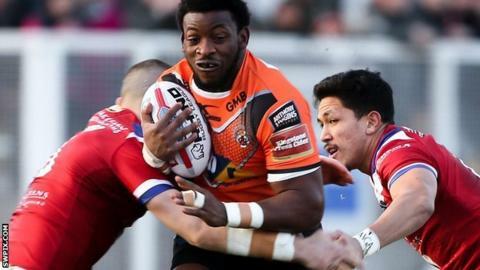 Castleford prop Gadwin Springer has signed a two-year contract extension. The 23-year-old France international, who will now stay with the club until the end of 2019, has made 31 appearances for the Tigers since joining from Catalans in June 2015. Born in French Guiana, he became the first player from South America to play in Super League with his Catalans bow. Springer said: "Since I have come here I have improved a lot and I think of Cas as my second home now."